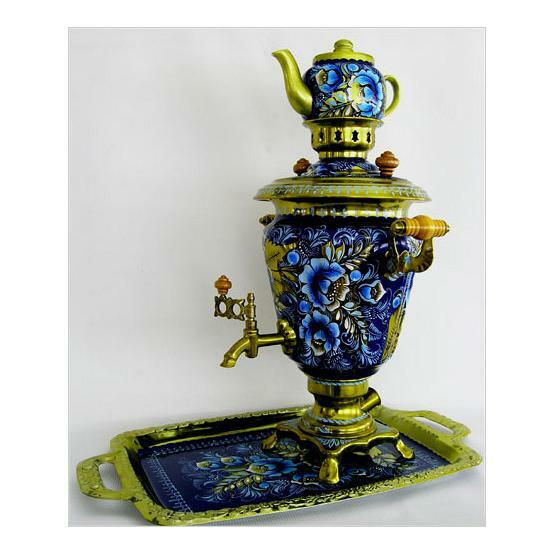 The gorgeous "Fairy Tale" electric samovar set in front of you consists of an authentic "ryumka" (shot glass)-shaped hand-painted Russian electric samovar (fully functional and ready to make tea), a handsome hand-painted tray and a beautiful hand-painted porcelain teapot. 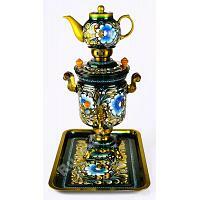 The whole set is 100% original, made and imported from Russia. 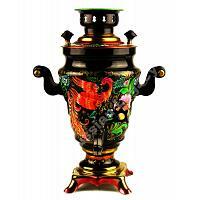 Would definitely make a wonderful gift to anyone interested in Russian culture. 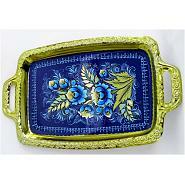 Important: Slight variations in the painting pattern are acceptable, as each and every set is hand-painted; hence, unique and unparalleled. 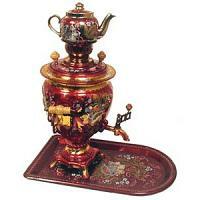 WARNING: Do not place the painted teapot on top of hot samovar. 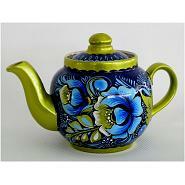 The paint will come off. 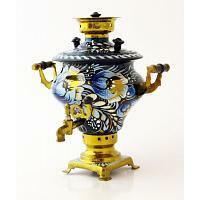 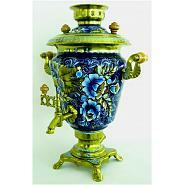 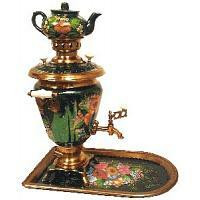 Teapot may be put on top of samovar only when the latter is not in use.